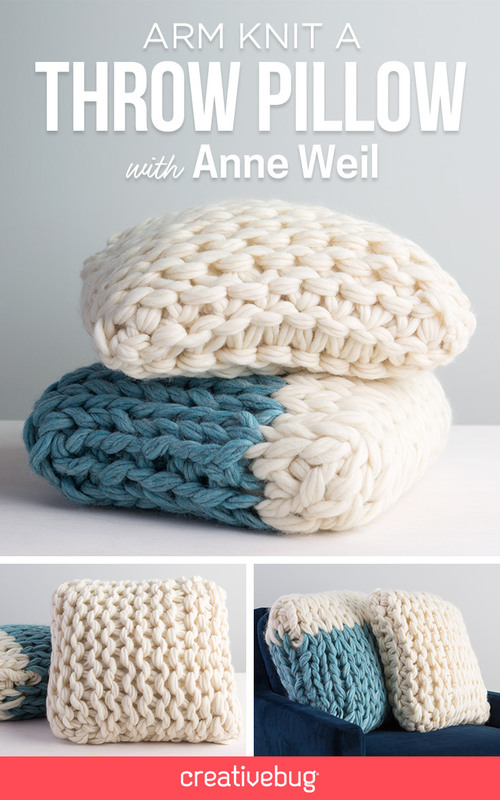 I have a new Arm Knit Throw Pillow video class up at Creativebug! These throw pillows are designed smaller than the ones in my book, so they fit your couch or bed perfectly! In the class, I walk you through everything, including how to cast on, how to knit, how to stop in the middle and how to measure your knit fabric so it’s a perfect fit for your pillow. Included in the class are both versions of this gorgeous pillow, the color block throw pillow and this fabulous purl side pillow above. The purl side pillow reminds me how much I like the structural feeling that arm knitting gives to traditional knitting techniques. 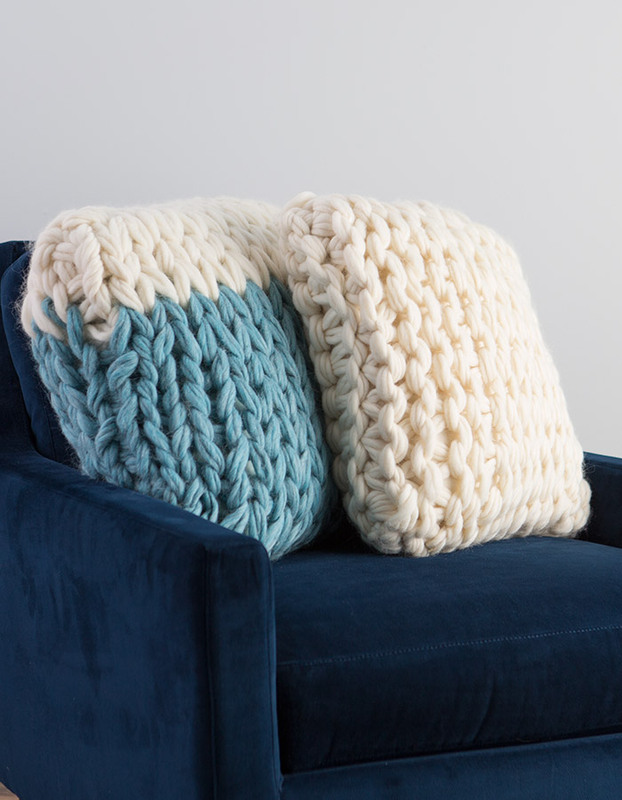 I also teach you how to make a quick fabric cover for your arm knit throw pillow so that you can have a pillow insert that matches your yarn color and makes the whole thing look spectacular. But, don’t forget, you can always just look for a throw pillow in the color of your yarn and ski the whole sewing part! In the class, I also teach you how to measure your arm knitting so you can size it for any size pillow you want. 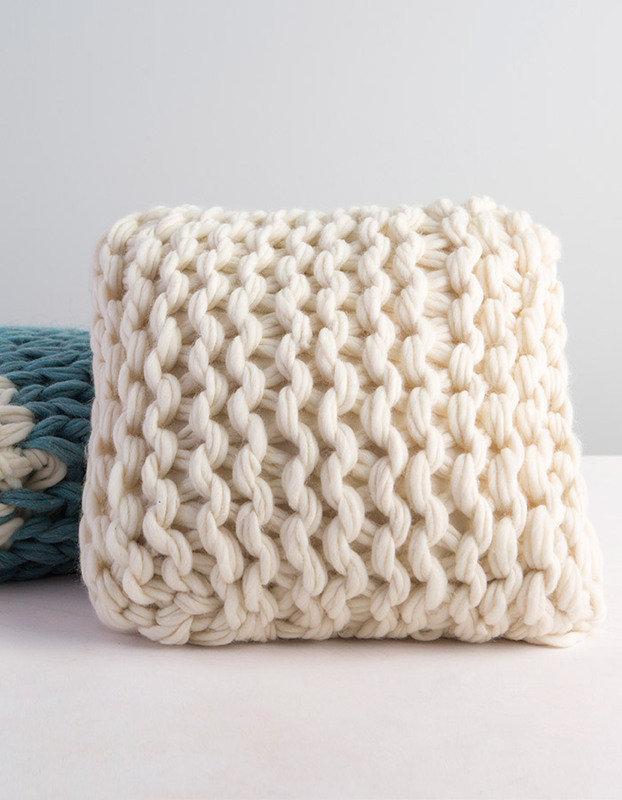 You can have a whole pile of gorgeous knit pillows to dive in to! I also give great tips and techniques for how to keep your arm knitting tighter, so your stitches are dense. 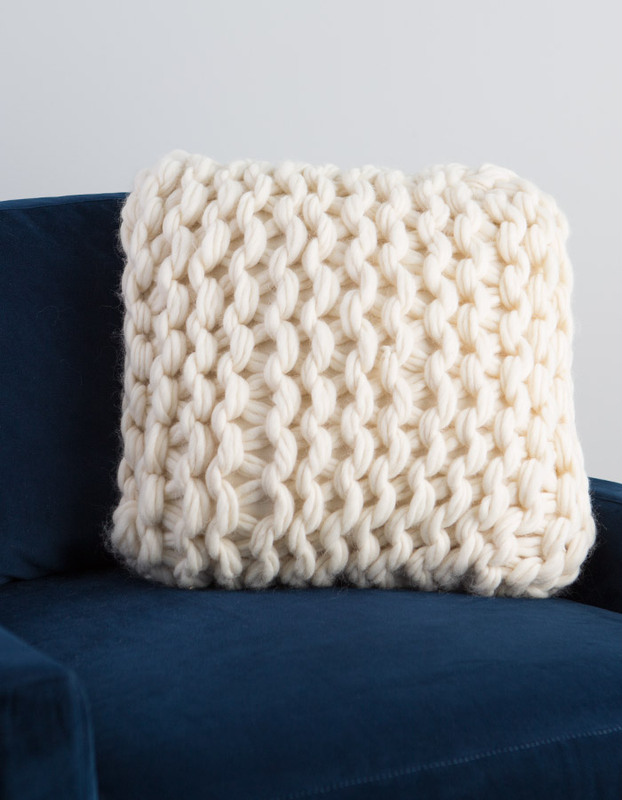 For these pillows, I arm knit with four strands of super bulky yarn at the same time. I use Cascade Magnum in this version of the pillow. Using super bulky yarn keeps yarn expenses lower than they would be if you used specialty, extreme yarns. Kits to make this pillow are available here in the shop. I have four new classes coming out for Creativebug this summer, so keep your eyes peeled, more loveliness to come!! Its not just arm knitting either. New classes include finger knitting, crochet and braiding!